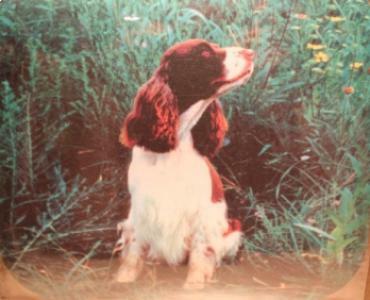 This mouse pad features and English Springer Spaniel with the beautiful photography of Barbara Augello. Each mouse pad measures 9 ¼” X 7 ¾” with rounded corners, and is expertly printed on cloth faced neoprene. These are packaged individually.